Motorola - Replacement Holster with Swivel Belt Clip for CLP Need an additional holster and belt clip for your Motorola CLP Series radio? Here you go. Garmin - Silicone Case for Edge 800 Protect your Edge 800 device with this form-fitting removable silicone skin. Magellan - Leather Case for RoadMate for Maestro 3200 & RoadM Durable 3.5 Leather Case for Magellan Maestro 3200 and RoadMate 1200 series. Garmin - Portable Carrying Case for Astro System NEW LOW PR Convenient carrying case holds your Astro dog tracking system including Astro 220 DC 20 and dog harness.NOTE: Product image is doubled in order to show detail on both sides. Package contains only one case. Garmin - Protective Silicone Case for Dakota Series Protect and operate your touchscreen GPS with this form-fitting case. This case has a window so that you may use your GPS while it's safe and secure. Motorola - Replacement Holster with Swivel Belt Clip for DTR Need an additional holster and belt clip for your Motorola DTR Series radio? Here you go. Garmin - Soft Carrying Case for Oregon 550 GARMIN SOFT CARRYING CASESoft Carrying CaseDurable case protects your GPS while in use or in storage. Garmin - Replacement Carabiner Clip for Dakota Series Replacement carabiner clip for Garmin Dakota in case you need an extra one. Garmin - Replacement Belt Clip for Dakota Series Replacement belt clip for Garmin Dakota in case you need an extra one. Magma - Mini Weatherproof Pocket Light MAGMA MINI POCKET LIGHT WEATHERPROOFMini Pocket LightA10-142With velcro strap and keychain attachment.High Intensity LED Light.Rectangular shape and weather proof silicon case wont roll on deck. Garmin - Carry Case for eTrex 10/20/30 Keep your Garmin eTrex 30 20 or 10 safe and secure with this case. Includes belt clip. Garmin - Portable Friction Mount for GLO Stability and mobility all in one! Secure your GLO to your dashboard with this portable mount with nonskid bottom. The pliable silicon case molds to fit a dash. TomTom - TomTom Carry Case for 4.3 and 5 Models At home or on the road protect your 4.3 or 5.0 TomTom GPS device with this specially designed compact and durable case. Motorola - Replacement Holster with Swivel Belt Clip for CLS Need an additional holster and belt clip for your Motorola CLS Series radio? Here you go. Garmin - Canvas Carrying Case for Rino 520/530 This Garmin carrying case keeps your Rino 520 or Rino 530 safe and snug. Magellan - Carrying Case for Triton 200/300/400/500 CLOSEOUT This canvas carry case keeps your Magellan Triton 200 Triton 300 Triton 400 or Triton 500 safe and secure. 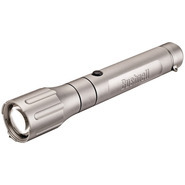 Magma - Grill Tool Light - Weatherproofor Smokeproof MAGMA GRILL TOOL LIGHT WEATHER / SMOKEPROOFGrill Tool LightA10-144Easily attaches to any Magma Telescoping Grill Tool.Weatherproofor Smokeproof heat resistant silicon case. 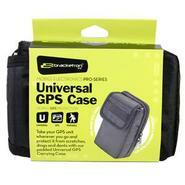 Garmin - Carrying Case for zumo (Replacement) This replacement carrying case keeps your zumo safe and secure. Garmin - Holster Carrying Case (eTrex Series) This sturdy holster keeps your eTrex secure and right at your fingertips for navigating on the fly. Rigid case has metal belt clip and Velcro flap closure. Garmin - Leather Carrying Case for nuvi 3x0 (Replacement) This leather carrying case replaces the one that came with your Garmin nuvi 350 360 or 370. Keeps your nuvi safe and secure. OtterBox - 3000 Series Clear Waterproof Case 3000-01OTTERBOX 3000 SERIES CLEAR WATERPROOF CASEThe OtterBox 3000 Series case is waterproof crushproof AND watertight (it floats!). These cases are perfect for protecting your valuables from the elements whatever they may be. Garmin - Hard Carrying Case for Oregon Series Handhelds Hard carrying case for Garmin Oregon series. Keeps your unit safe and secure. Magma - MAGMA WEATHER / SMOKEPROOF GRILL LIGHTWeatherproofor Smokeproof Grill LightA10-141High Intensity LED light for grilling after dark.Easily attaches to any Magma Hinged Lid Grill.Weather and Smokeproof heat resistant silicon case. Garmin - Deluxe Carrying Case for GPSMAP 640/620 This case keeps your Garmin GPSMAP 640 or GPSMAP 620 safe and snug. LIFEDGE - Rail Mount Kit for Waterproof iPad Case LIFEDGE ROK-LOK IPAD BRACKET W/ RAIL MOUNT ADAPTERRL-601-RMRail mount kit f/Lifedge Waterproof iPad Cases.Please Note: This listing is for an accessory case or mount only. Phone tablet or other device not included. ENERGIZER - Hardcase Pro LED Headlight ENERGIZER HARDCASE PRO LED HEADLIGHTHard Case Professional HeadlightWhether the job is construction industrial or the trades - or even tough jobs around the house Energizer Hard Case Professional lights get the tough jobs done. Garmin - Lithium Ion Battery Pack for 276C (Replacement) This Garmin lithium-ion battery pack replaces the one that came with your GPSMAP 276C. You can also keep it in your pocket in case you need a spare. LIFEDGE - iPad 2/3 Waterproof Case - Green LIFEDGE IPAD 2/3 GREEN WATERPROOF IPAD CASEWP-IP32GNWaterproof iPad Case iPad 2/3 - GreenSay hello to a new freedomIf you're into the great outdoors - or work in demanding conditions - you need technology that won't let you down. Silva Tech - 4o TraiLeader 1 Survival Watch TrailLeader 1Find yourself way off the mapLooks like a watch works like the ultimate survival tool. The new TraiLeader packs everything you need to navigate the wildest of wild places into a compact rugged stainless steel case.